While you might be tempted to criticize everyone else's ethics, first spend time developing your own. You’d think that once a person gets a job, they'd do everything they could to further the best interests of the company. But workplace ethics involve a tension between what people feel is right for them versus what's right for the workplace. You may know something about this conflict of interest, especially if your employer doesn't have a written policy about some of the more widespread infractions. 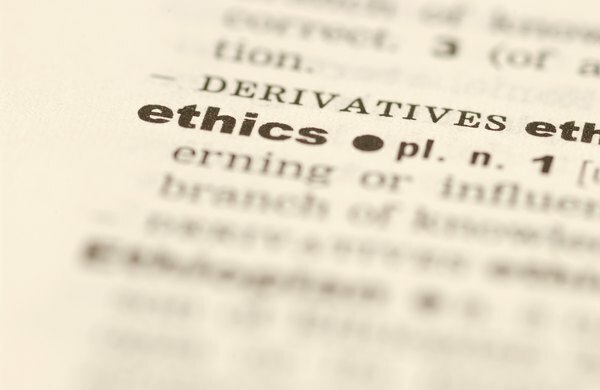 When businesses do focus more on the importance of ethics, such as during an economic challenge when the competition for work is higher, there is a drop in misconduct and a rise in reporting misbehavior, according to a survey by the Ethics Resource Center. 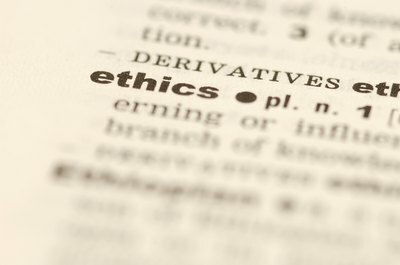 Businesses can use current ethical dilemmas to create policies that discourage them from happening again. In a perfect world, everyone would be treated fairly. In fact, there are fewer ethical violations when people see integrity in the leadership, according to Walker Information Inc. When it feels like managers are best buddies with everyone but you, though, you'll start second-guessing performance reviews, discipline, compensation and what a win looks like. It doesn't help when people muddy the waters by dating co-workers or hiring family members, for seniority seems to become less about tenure and more about favoritism. If you're sick of feeling like you don't know whom to trust, then become trustworthy and lead by example. Start by developing a reputation for meeting deadlines and not misusing the time you're paid for. Next, sort out the tension between personal morality and workplace loyalty. When your boss asks you to lie to cover for him, you'll ultimately choose between holding to the truth versus keeping the appearance of being a "team player." Even when you're trying to seal the deal with a tough client, don't tell "white lies" to sway their decisions. Don't feel like you're paid what you're worth? Join the club, and don't expect to feel good about it. If your pay doesn't match your sense of entitlement, you'll be tempted to conduct personal business on company time and justify it. Tying up company phone lines, Internet, printer, copy machine and more for non-work purposes may feel legitimate at first -- for example, taking a ream of paper home to print off a presentation; however, if you don't use it all, you will be tempted to justify keeping it since you used your own printer's ink on the report. A good rule of thumb is to keep work resources at work and avoid doing personal tasks or favors with them. Whether you're full time or part time, it's your right to feel safe all the time. Harassment at work, including bullying, peer pressure and sexual advances that make you feel uncomfortable, is a solvable problem if you're willing to hold your company accountable for it. Talk with your boss or HR department about official and anonymous channels for employees to report incidents. More than one in five employees who reported misconduct say they experienced some form of retaliation, according to a 2011 survey by the Ethics Resource Center. If you fear losing your job by reporting something committed against you or another person, the behavior will likely continue, and you'll remain ethically torn. There's a good chance that you know when you're fudging an expense report. Even when your company clarifies which expenses are reimbursable and how they're tracked, you and your co-workers may look for the loophole to claim the doughnuts you bought when you gassed up the company car. Until the IRS audits your company, the short-term loss is typically felt in terms of profit. Develop standards that are above reproach by capping what you claim to only what you spent money on. If there ever is a profit, such as leftovers from a catered lunch, send the food home with someone else versus enjoying it yourself and potentially over-ordering again next time. 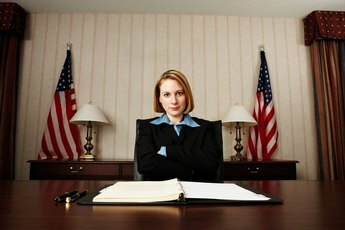 What Legal Actions to Take on Verbal Harassment in the Workplace? What Is the Impact of Workplace Affairs?